Welcome to the Bessie Minor Swift grant application process. We have completed our grant application process for 2019. We hope to hear about and have the opportunity to fund more great programs starting January 1, 2020. The information you enter into the form will not be saved across sessions. More information about preparing an application offline or for review is available on the “Frequently Asked Questions” page of this website. We encourage you to review the Information tab on the Home Page before preparing your application. You will receive confirmation of your submission within two days. If you do not receive a confirmation within that period please don’t hesitate to email us at grants@bessieminorswift.org. All applicants who submit an application by February 15, 2019 will be notified by e-mail either that your application has been declined or approved no later than May 1, 2019. In some cases, a telephone conference may be scheduled as part of the review process. 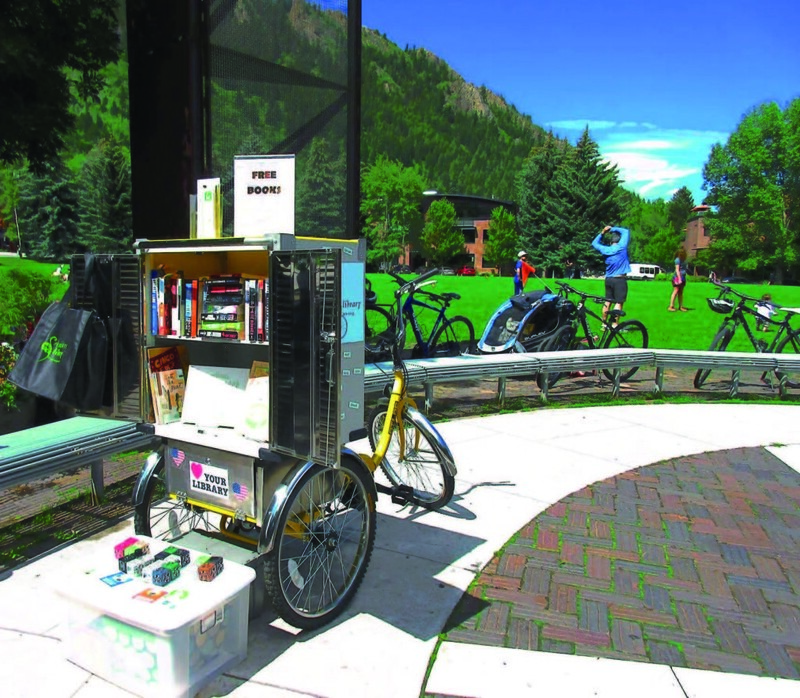 Electric Book Bike purchased for the Pitkin County Library in Colorado using Bessie Minor Swift funds in 2016.